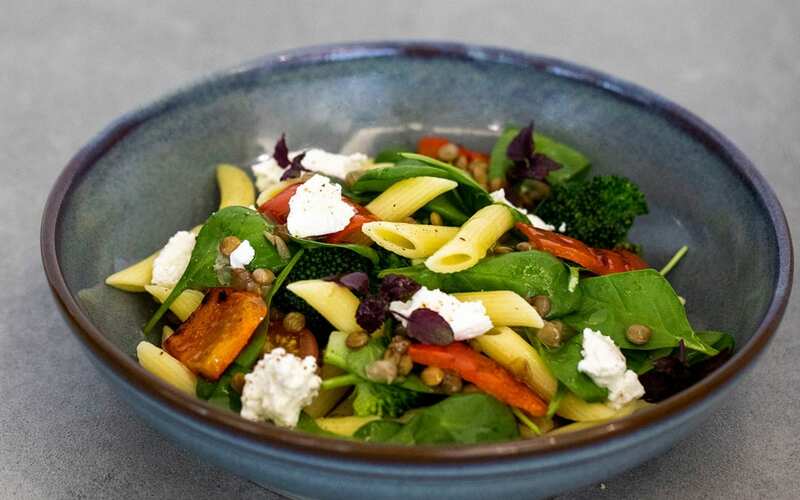 Chef Victoria Andrade, Chef Instructor, ICCA Dubai will prepare this Pasta Salad with Lentils and Broccoli at this year’s World Pasta Day event in Dubai, organized by the International Pasta Organization (IPO), Italian Association of Confectionary and Pasta Industries (AIDEPI), and Italian Trade Agency (ITA). This pasta salad is a fantastic food to include in vegetarian diets. Lentils are a great source of protein. This can be made with traditional or gluten-free pasta. Combine all the ingredients together in a wide bowl, drizzle with olive oil, balsamic vinegar, and honey. Assemble salad in a salad bowl and crumb ricotta cheese on top as a garnish.